The goal of the project is to compare the quality of automotive stators conductors welds produced by means of Brazing and TIG welding. As a result of the performed experiments and microstructural analysis of the welded joints, we have been able to prove the advantages of the brazing method over the TIG method. Paper deals with dynamic behavior of powerful electric drive for pump unit. The practical application of these electric drives is diverse. In industry they drive a wide range of mechanisms connected to them. Some of them are pumps with varying degrees of security for thermal or nuclear power plants. The nature of the flow of transient processes in the electrical machine often determines the behavior of the entire system, an element of which is the machine. As a result the values of the energy losses components in the induction motor have been obtained according to different values of initial resisting moment. Some of the study results have been presented graphically. An analysis has been made and conclusions from the results obtained have been done. The present article examines the technical and economic advantages of vibratory stress relief from the restored steam turbine blades. It is presented the background technology of the offered vibration method of the structure stabilization of weld metal that im-proves the operational reliability of turbine blades. Cold forming process in the plastic domain of deformation causes strain hardening in the formed material. Strain hardening can be used for practically all metals and alloys to increase most of mechanical characteristics, however ductility and some others are reduced. 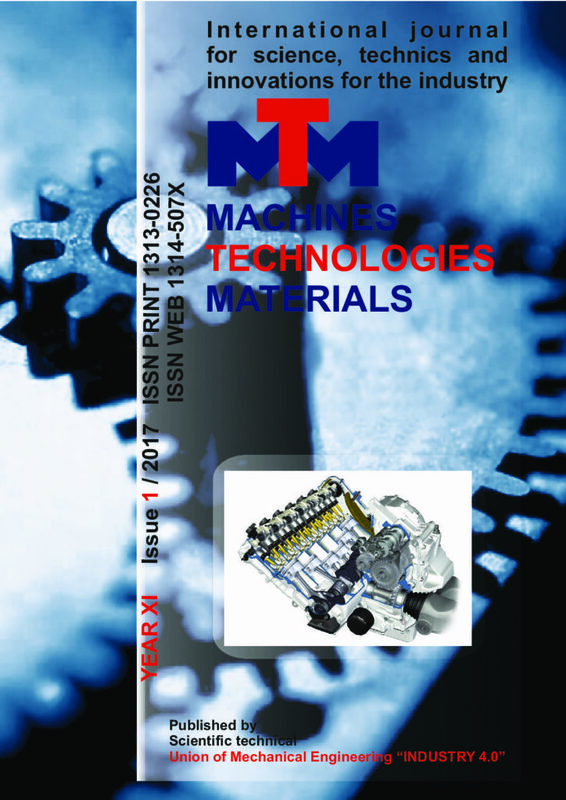 In the paper experimental researches of the influence of effective strain on change of main mechanical characteristics such as tensile strength, yield strength, impact toughness, and some other characteristics of cold formed material were carried out and analyzed. The results of the experiments are presented in the form of graphs. Special mathematical models for determination of different properties were obtained. These models are especially helpful for prediction of mechanical and other properties of a cold formed material. Knowing the material properties and their changes during the cold forming processes is very important for quality of the product and for planning the right technology of the forming processes. The optimum ranges of the electron beam parameters change (density of heat exposure and speed of movement), within which there is a substantial improvement (more than 2 … 3 times) of the basic properties of the surface layers of the optical elements are found. The tests of the optical windows of laser rangefinders under intensive external heating and hemispherical optical fairings of IR devices at supersonic blowing by air flow and axisymmetric rotation that simulate real operating conditions, have shown that in the case of processed by electron beam optical windows and fairings it reduces the number of their destruction and increases the reliability of the devices during the operation, taking into account the impact of external-heat. In this paper a review of progresses occurred along the years in measuring residual stresses by optical methods is presented. These methods allow to implement the hole drilling procedure for residual stress profile measuring, without applying the strain gage rosette. This approach presents several advantages such as easier and cheaper preparation of the test beside the possibility to avoid eccentricity issues and to increase the amount of available data in view of the fact that each pixel can be considered as a measure point. In particular the evolution of the Electronic Speckle Pattern Interferometry (ESPI) technique will be presented showing how set up, methodologies and calculation approaches have developed along the last three decades. Traffic lights regulation reduces conflict points in intersection of traffic flows trajectory and provides their safety crossing. The main in installation of traffic lights is determination of a cycle length which guarantee minimum waiting time of traffic flows at the junction. The paper presents a calculation algorithm for the cycle length of a traffic light junction according to traffic flows intensity, saturation flows and day periods which are have deferent intensity.